Yesterday I wrote about Linux security and the need for monitoring hard drives for failure symptoms. As if this was an omen, today the following message popped up on my screen: At any given time, my PC runs between 6 to 10 hard drives of varying size and make. 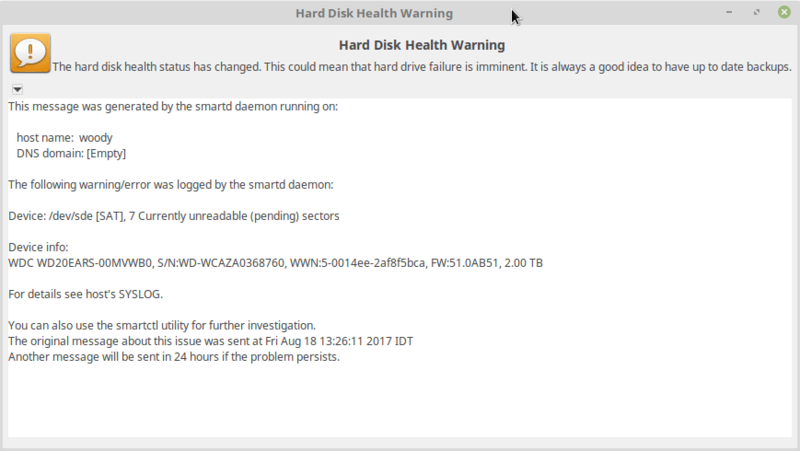 In recent years I’ve replaced some … Continue reading "Monitoring Hard Drives Using Smartmontools"